I work with landlords every day that try to do it all alone. You don't have to anymore. 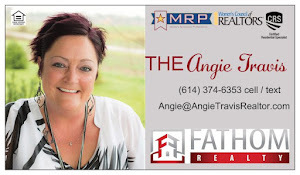 This Realtor will share tips, tricks and stories I have learned along the way to make life a little easier for you ~ and so you know you're not alone out there. Do you know your rights on Fair Housing? As a Landlord, you should know about Equal Housing Opportunity and who is in a protected class. There should never be any discrimination in housing, but there are certain areas that are very specific. These include Race, Skin Color, National Origin, Religion, Physical or Mental Disability, Gender, Familial Status (including the presence of children and marital status) and Military Status. This means that you CANNOT deny housing to members of these protected classes because of these reasons. This week the Madison County Board of Commissioners hosted a Fair Housing class at the London Library in London, OH. It offered information for Realtors, Landlord as well as the public. In short, it was a very small group but a worth-while class. A Landlord cannot discount a tenant based on Criminal History. Landlords are no longer allowed to use a blanket clause like "I will not rent to any person that has a criminal background". Each individual case has to be examined as to the reason why someone was incarcerated. The Landlord's policies are something that should be prior set, in writing and held accountable to every single person that applies for renting. For example, said Landlord should be very specific in the description of what crimes are perceived as "acceptable" and what are not. Murder would most likely be an acceptable term for denial of an applicant. Criminal history because of failure to pay child support may not. If you have questions further about this situation, I would suggest to contact your county's Fair Housing consultant. A Landlord cannot deny someone that is handicapped. I am sure that most people are aware of this. However, it is the Landlord's responsibility to provide reasonable accessibility of the home (apartment, condo, etc.) for said person and in a way that is not a cost burden to the Landlord. What this means is that if the home would have to be equipped with special items for the said renter to access and maintain every day living, it is not the Landlord's responsibility to bear the burden of the cost to make it accessible beyond what would be reasonable. If the said renter is willing to provide these items at their own cost and without compromising the structural integrity of the property, then the Landlord cannot deny them. A landlord is able to write into a lease agreement that if the home is used as a meth lab, the tenant will be held responsible to pay for the clean-up. However, I was told that if a home is used as a meth lab and is discovered by authorities, the home will be boarded up. Wow. Talk about a kick to the gut! And the last little tidbit of information that was a great suggestion for Landlords was that it may be a good idea to have a disclosure in your lease agreement regarding bedbugs. I am told that it is very costly to rid a home of these little critters. Depending on how it is stated in the lease, this can be a reason to forfeit a deposit and/or the tenant could be held responsible to the fees necessary for clean up. Please keep in mind that I am in NO way giving legal advice on these matters. They are merely noteworthy items that you should seek further information on if they impact your Landlordship. If a tenant reports a Landlord to the Fair Housing commission, it is their responsibility to investigate EVERY SINGLE ACCUSATION. This is an area that should not be taken lightly and that every Landlord should know their rights as well as the law. It is time to put 2014 behind us and look into the bright future of 2015. Have you been thinking about things that happened in 2014 that you would like to do differently in the new year? As a landlord, this is your business. Hopefully you are doing this to bring in extra money or to work for your future. If not, WHAT ARE YOU DOING? I would like to throw out a couple of ideas that could help with your "business". Okay, it's one little idea that you can do that could have a huge impact on your bottom line. Use a professional to help you!!!! Of course I cannot speak for all professionals, Realtors that is, but I am able to tell you things that I would be able to do as your partner that would be able to make your life easier. Especially if you have more than 1 property. Unless you were lucky enough to get an extended lease signed by your current tenant, you are probably going to have to look for another one some time during this year. What if I told you that I do all of that for you? That's right. I said that I can do all of that for you and it won't even cost you an arm and a leg. I only charge 1 month's rent to do all of this for you. And it's a tax write off! It's not too good to be true. I promise. Just give me a call and I can give you all the details! Please understand that renting out a home between November and the beginning of February is going to be one of the hardest times of the year! During this season, most families are saving up for holiday presents and don't have the 1st month's rent + deposit. This is not a great time to move children outside of school districts. The weather is usually cold, snowy and gross. There are times when people have no other choice than to move during this time. This is just your fair warning that you shouldn't expect miracles on renting out your house during the merriest time of year. What Do You Learn About Your Tenants Before Renting To Them? All people interested in renting a house that I am representing MUST fill out an online application to be considered. The application is compiled into a report that consists of Full Credit Report, Previous Address History, Telecheck Verification, Nationwide Eviction History and Nationwide Criminal History. This then gets forwarded to my homeowner for their review. One of the first conversations that I have with my landlords is about what to expect from tenant applications. There is a reason they are renting and not purchasing a home of their own. 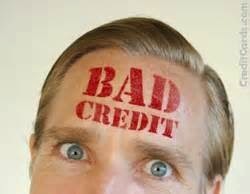 Don't expect a 700-800 credit score most of the time. It is a rare gem when you do. Don't let this portion of the report stump you on a potential. Look at all the factors that have gone into making the number the way it is. Have they went through a bankruptcy in the past couple of years or lost their house? Do they have medical bills that are bringing their score down? Or do they just not pay their bills? Previous address history gives you an idea of how long a prospect stays in one place. This is a good indicator that you may be looking for another tenant in another year, or that they could be a tenant for life. Again, this is not something to base your full decision off of, just something to consider when you are deciding how long you want to have your lease last. Telecheck Verification lets you know if they have written bad checks in the past. Again, this will give you a heads up that if they have a check bounce that you may request that they pay their rent in cash or money order for the rest of the time of their stay. Nationwide Eviction History is a little tricky. If there is something that comes up, feel free to ask the applicant about it. I have seen instances where the person didn't know that there was something on there from an apartment complex, or they have a story about why they had to leave before their lease is up. This is not a conversation you should ever feel embarrassed about initiating. This is a person that could possibly be living in your house / condo for the next year. Nationwide Criminal History. Wow. I think that is a whole nother blogpost. There are rules and regulations that protect people with a criminal history and this is a law that you should know. I will later do a blogpost about Fair Housing and this may help a little more on the subject. Until then, I suggest you do a Google search for your area! If you want to learn more about my Rental Program, click HERE.